The new device, which enclosure is IP68, is easier and cheaper to deploy as it is mounted on the road surface. Unlike most market versions, it does not need to dig a hole in the ground for installation reducing installation time from 30 to 5 minutes and allowing to be replaced by another unit in case of maintenance in just 10 minutes. New sensor system is fully compatible with LPWAN radio technologies -LoRaWAN and Sigfox- to enable long range and low power consumption. It can be connected with both radios for the European 868 MHz band and for the 900-930 MHz band (US/Canada). One unique feature of the system is that it allows to use both radio technologies at the same time or change from one to another easily from the Cloud. The new parking node has been certified with the CE/FCC/IC marks and provides a robust software which works out-of-the-box. Developers do not need to programm the nodes but specify the values of key parameters in the firmware such as working cycle or night mode to be ready to work. Remote management and bidirectional communication allows to change several parameters of the nodes from the Cloud. This means that thousands of nodes can be reprogrammed just setting the right values from our web browser in the management platform. More information at: Plug & Sense! Smart Parking Technical Guide. 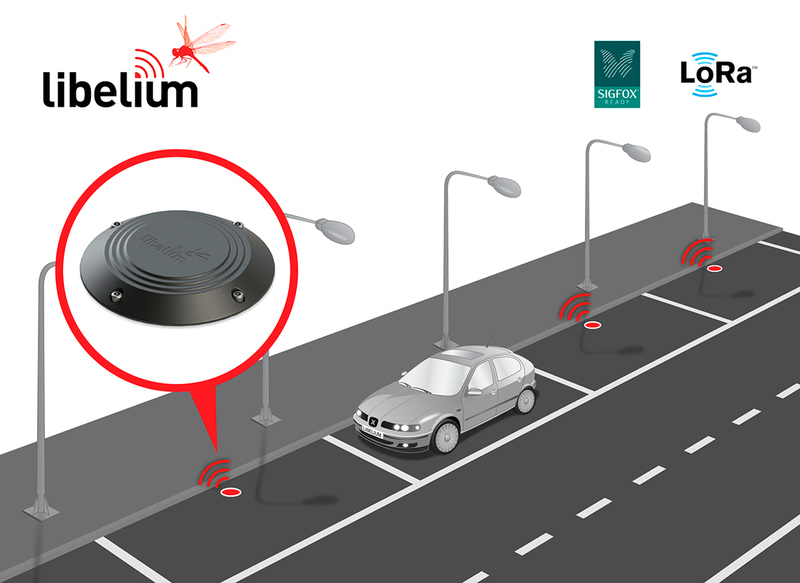 Buy the Libelium-Metiora Smart Parking Sigfox Kit at The IoT Marketplace! New Smart Parking Solution is now available at The IoT Marketplace. It includes solution oriented software already integrated with Metiora and Sigfox connectivity (868MHz).